Anyone that has been following our reviews will likely not be surprised to learn that the best performing zoom on the Canon EOS Rebel T5 is Sigma’s Art series 18-35mm f1.8 DG HSM A. 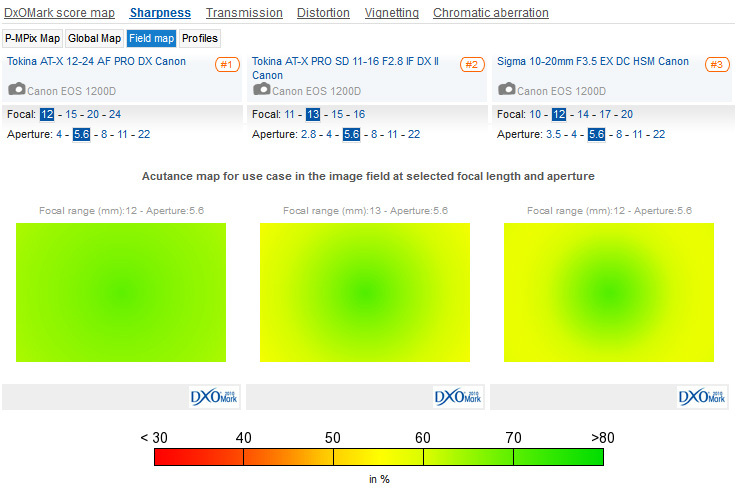 It achieves a high DxOMark score for image quality and aberration correction but it also has high sharpness levels. As a model designed specifically to replace the kit zooms supplied with APS-C models it’s perhaps all the lens you’ll ever need, but as the equivalent to a 28-56mm it’s a conservative range. And, although not exactly pricey compared to some models intended for enthusiasts, at $799 it may be at odds with the accessible pricing of the camera. Sigma’s recently introduced 17-70mm f2.8-4 DC Macro OS HSM C has a more modest variable aperture but it’s stabilized and has a sonic type AF motor. It’s also modestly priced. Recommended ultra-wide models include the revised $655 Tokina AT-X 116 PRO DX II (11-16mm f2.8) and the lower priced AT-X 12-24 AF PRO DX (12-24mm f4) at $400. If you can still find the earlier AT-X 116 PRO model it performs slightly better overall, but it has officially been replaced by the DX II. 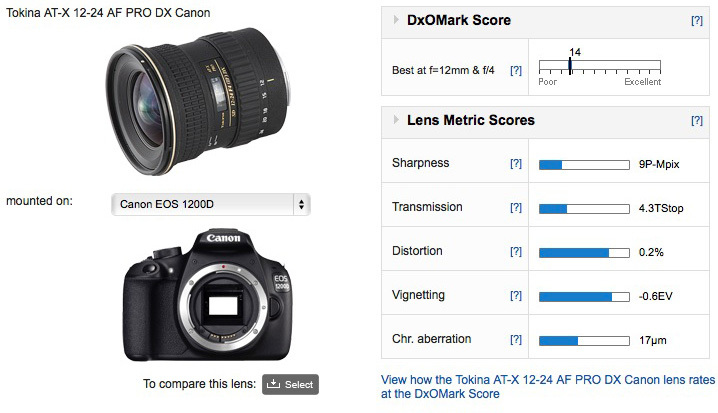 All three models perform well, are good value and make a lot more sense than full-frame models. Wider still is the Sigma 10-20mm f3.5 EX DC HSM. This is another nicely specified lens with a sonic type AF motor and a lot special glass types, but at $659 it’s even dearer than the Tokina AT-X 116 Pro. The two ultra-wide Tokina AT-X PRO models frequently appear in our recommendations and continue to perform well on the Canon EOS Rebel T5. At $655 the high-speed f2.8 version is somewhat expensive given the relative affordability of the camera. It has good sharpness throughout the zoom range, but it’s particularly good at the shorter focal lengths, even at full aperture. Stopped down to f5.6 sees uniformity improve especially at 24mm where the lens has very good central sharpness at f4 but only fair sharpness in the outer field. It has heavy chromatic aberration in a ring surrounding the center throughout the zoom range, unfortunately, though it’s more noticeable at shorter focal lengths. The AT-X 116 PRO DX II doesn’t fare well at full aperture on the Rebel so the extra cash is largely wasted. 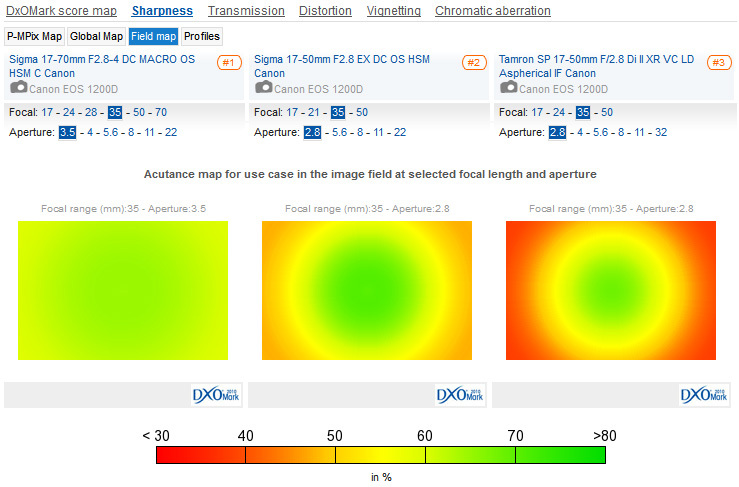 It performs similarly where the two models overlap, though the less ambitious AT-X 12-24mm often has the edge in uniformity. The Sigma is the widest and lightest of the three and it’s a good performer overall but like the AT-X 116 PRO edge sharpness is behind the more modest AT-X Pro 12-24 though it has better control of chromatic aberration. Although performance varies through the zoom range, the Tokina AT-X 12-24mm AF PRO DX has good uniformity at the wider focal lengths. The stabilized Sigma 17-70mm was the first model in the firm’s new “Contemporary” series – cosmetically it looks similar to the Art series. At $499, is not cheap exactly but it is good value. It has the same coverage as a 27-112mm on a full-frame camera and is more versatile, travel-friendly that its 18-35mm f1.8 sibling, though that’s relative. This model like so many others is a better performer at the shorter end of the zoom range, with sharpness dropping off at maximum aperture at the longer focal lengths. Stopping down to f5.6 from 35mm up restores the sharpness to similar levels and across the field. Compared with the pricier Sigma 17-50mm f2.8 EC DC OS HSM and the rival Tamron SP 17-50mm f2.8 Di II XR VC Aspherical IF stabilized models, the cheaper Sigma 17-70mm acquits itself well in terms of sharpness, albeit not quite matching the peak sharpness levels of the Tamron. Some distortion and vignetting are inevitable in a zoom like this but neither are really troublesome, and most impressive of all, lateral chromatic aberration is very low indeed. 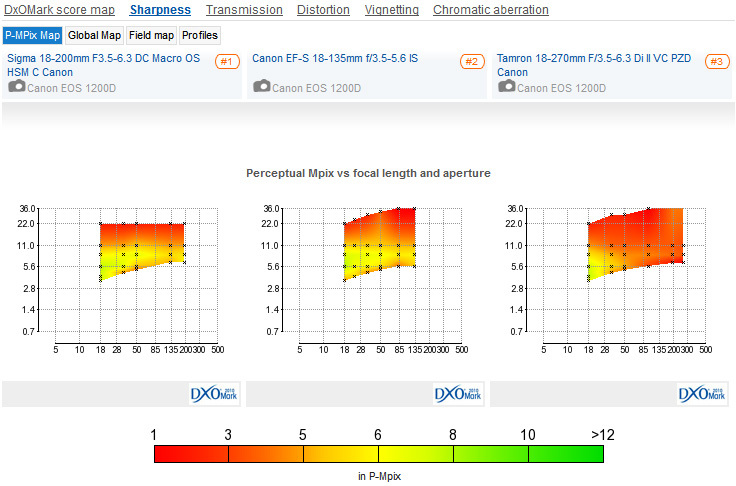 Only the Tamron comes close in CA suppression but that model’s poor edge sharpness at full aperture counts against it, in our overall scoring, and could be a barrier at the price. The revised Sigma 17-70mm f2.8-4 C series zoom has relatively good uniformity at full aperture but sharpness drops away at the longer focal lengths. Faster more pricey rivals have good center sharpness but require stopping down to improve edge sharpness, particularly the Tamron. Sigma’s stabilised 50-150mm f2.8 EX DC APO OS HSM model takes first place in this combined category, but as a lens intended for enthusiasts it’s unlikely to be paired with an entry-level model such as the Canon EOS Rebel T5. In this instance, we’re looking at the more versatile ‘superzoom’ models, and there’s a wide choice, including several models from Canon, if brand loyalty is important. Their new 18-135mm models are the best performers in our database on the Rebel T5 but the STM version is pricey and both are limited in range when compared with rival offerings from Sigma and Tamron. Our recommendation, based on performance, price and coverage is the new stabilised Sigma 18-200mm f3.5-6.3 OS HSM C. It has similar peak sharpness levels to that of the shorter range Canon which in turn are both higher than our third choice, the Tamron 18-270mm f3.5-6.3 Di II VC PZD. 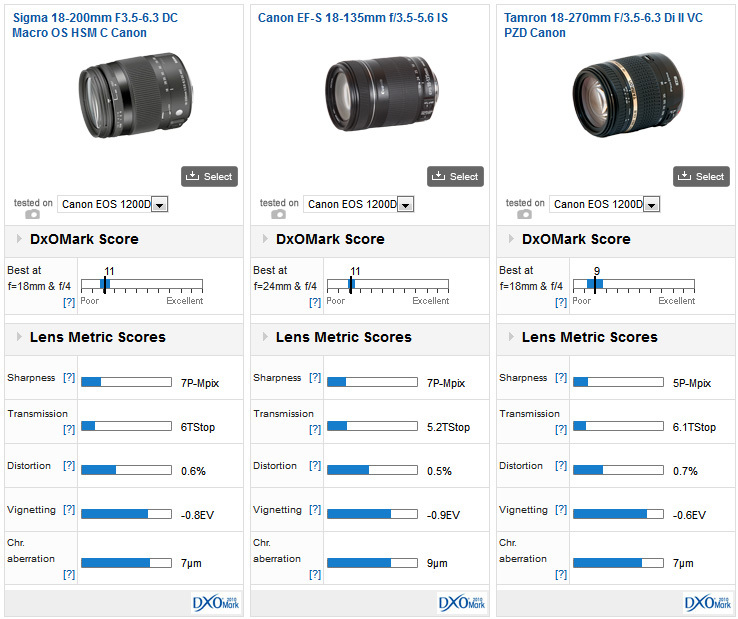 Both the Sigma and Tamron share the same f6.3 maximum aperture at the longer-end, but this helps keep the size and weight down and doesn’t affect the usual f5.6 autofocus sensor limits. 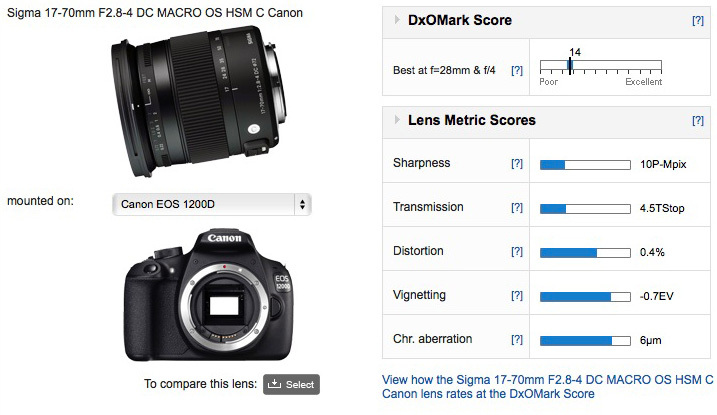 All three models are sharper at shorter focal lengths but the Sigma and Canon share similar performance over the same focal length range, while the former has the added benefit of a little extra reach. 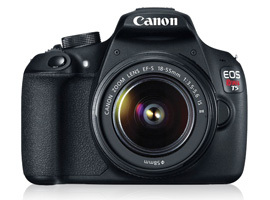 If you have a Canon EOS Rebel T5 or EOS 1200D and a favorite lens, we would very much like to hear from you. Please leave a comment below, stating what lens it is and why you like it.